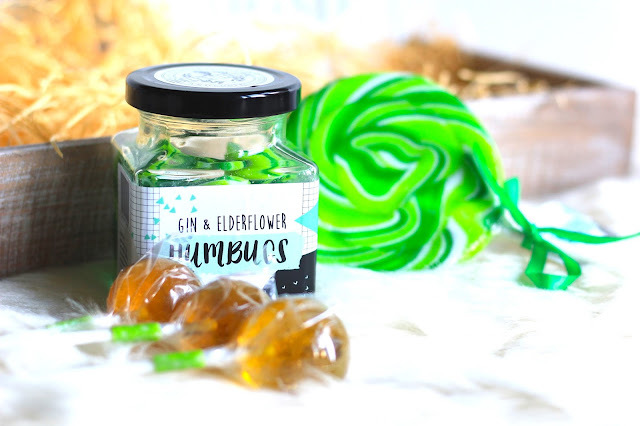 There are a few things that I just cannot wait to put my hands on; hand made sweets are one of those things, especially when they are a combination of elderflower and gin, something I have recently started to rediscover. One of the best ways to satisfy my sweet tooth! Aberdeen in Scotland is not the warmest of places to be during Autumn and Winter hence most activities happen indoors. I do like having tea and cakes in cafes but when it is grey, rainy and cold I am more than happy for my friends to come around. It gives us a great opportunity to catch up with latest TV series any Grey's Anatomy fans? or one of the autumn perfect movies from my list have you seen any of the movies?, gossip and of course have food or sweeties together. Fridays are for cheat meals. It was one of those gloomy days in Aberdeen where I knew that there is not a chance for me to go out from the flat. Routinely I would go downstairs to check if there is anything for me. Almost as if the postman knew that I needed something to pick me up there was a treat box from Holly waiting for me downstairs. 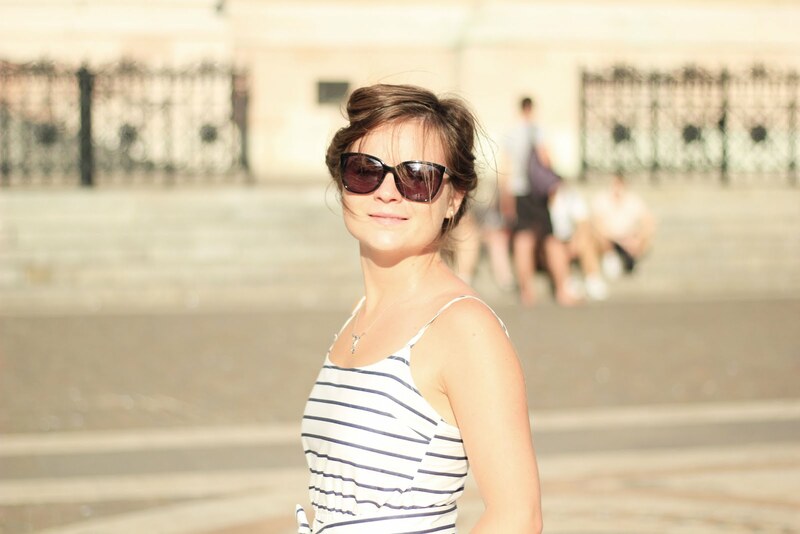 Behind the brand Holly’s Lollies is the psychology graduate Holly, who found her love for sweets quite early on and decided to open her own business after graduating. Girl boss right here! 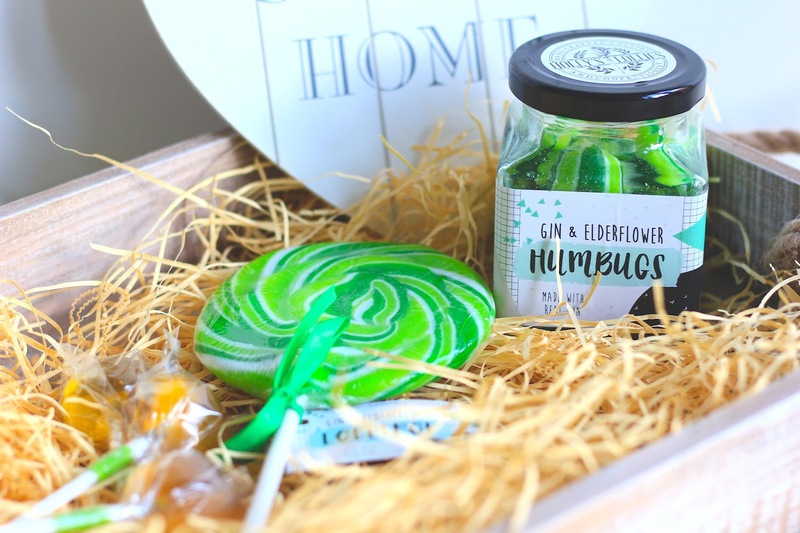 I knew that lollies made with real gin were going to be exactly what I need to persuade my friends to leave their cosy and warm flats and come around to mine. Perfect excuse to spend Friday together! We were up for a treat! 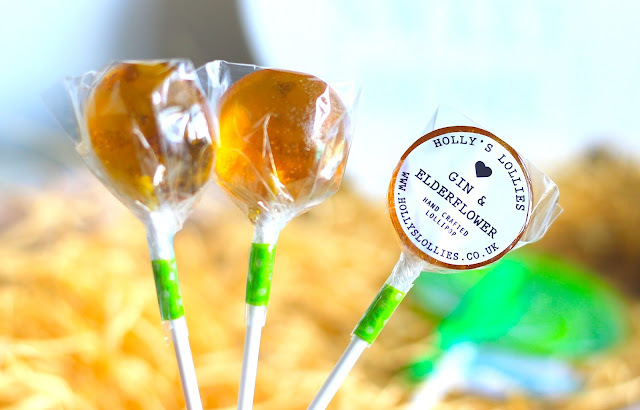 Holly creates handmade lollies not only with real alcohol but also following traditional British recipes. Perfect start to the movie night for four sweet toothed ladies. Ready to watch Breakfast at Tiffany's we sat down with treats from Holly. What did we find in a box? First thing to disappear were the individually wrapped, flavourful, sugar crystal free lollipops. I loved that there was non of those pesky sugar crystals! 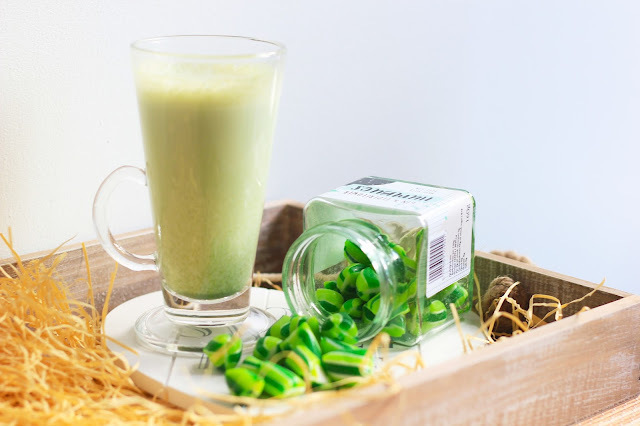 The light green/lime colour reminds me of one of the summer cocktails I used to have. Only if the weather outside could be a bit sunnier and we would all feel like summer is not over yet! Before we knew it we were all discussing what should be the second movie of the night while enjoying traditional humbugs with Holly’s twist. They were quickly disappearing. The flavours of gin and elderflower work so well together. For a moment we were somewhere in South England on a rooftop bars during the midsummer and not rainy Aberdeen. I had a peak on Holly’s Lollipops website and our next sweet treat is definitely going to be a jar of Raspberry Mojito humbug! 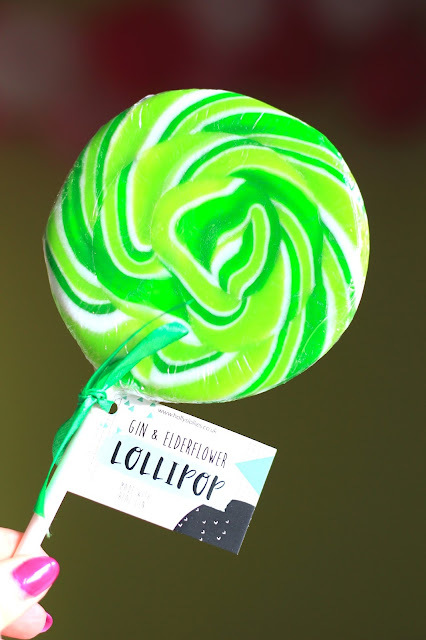 Giant Lollipop would be such a great stocking filler. I say would be because... I demolished this one too. It is just too addictive! You can get any sweeties from the Gin & Elderflower Gin Selection with a 20% discount just write BerryGin while checking out. I am not sure if Holly ships elsewhere. It's worth checking as hard candy is delicious! They look delicious and definitely worth trying ♡ x! Ever since Harry Potter, Ive always wanted to try a humbug. They are delicious! I am right now saving them so they last for longer. Wow these look yummy! I'm a sweet tooth myself and i'm addicted to gummy worms! You should try them, really addictive! Oh wow this is such a fun concept ! I've seen them on your Instagram and was happy to read more about it. But I am curious, is it just a gin flavour or do you also get the alcohol? Could it make you tipsy ? hehe. Your pictures look great ! Hahaha I have to say that I cannot say if it was wine with my girlfriends or sweeties that made me feel tipsy! Happy week! Where to Start Job Search? What is in my travel make up bag?